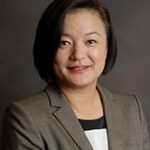 Hae Mi Choe is a clinical associate professor of pharmacy and director of Innovative Ambulatory Pharmacy Practices at the University of Michigan. Choe joined the University of Michigan to develop ambulatory clinical services for the first time at the East Ann Arbor Health Center. In her leadership role as the director of innovative ambulatory pharmacy practices, she created a group practice model for clinical pharmacists across 14 health centers at the University of Michigan Health System as part of the Patient-Centered Medical Home. Also, she developed a new reimbursement process for clinical pharmacy services. Choe’s research interest has been on pharmacist’s impact on clinical outcomes and process improvement. Recent interest focuses on improving medication use and outcomes, medication cost barriers, and policies on Medicare Part D structure. Choe received her baccalaureate degree in Biochemistry/Cell Biology from the University of California, San Diego and completed Doctor of Pharmacy from University of California, San Francisco. She completed Pharmacy Practice Residency at Kaiser Permanente in Los Angeles, California.